Brisbane is the capital of Queensland, and is the third largest city in Australia. 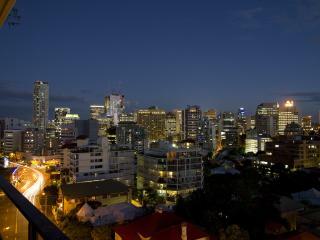 Named in honour of Sir Thomas Brisbane in 1859, Brisbane has now flourished into a thriving, beautiful city. Brisbane accommodation options are many and varied including 5 star Brisbane hotels, self-contained apartments and close-by Hinterland lodge options, there is something to suit every taste and budget. The most convenient place to stay in Brisbane, the CBD offers a fantastic range of accommodation options surrounded by shopping, dining, entertainment and nightlife as well as attractions such as the Botanic Gardens, Brisbane River and the Treasury Casino. Views are spectacular at night when the city lights up. 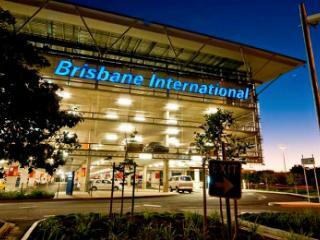 The ideal place to stay if you're passing through Brisbane or need to catch an early flight, Brisbane Airport accommodation is just minutes from both the International and Domestic terminals and offers easy access to public transport. The comfortable rooms also enjoy a great range of amenities and onsite facilities. 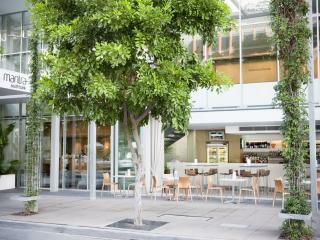 Just a short stroll from the Convention and Exhibition Centre, Museum, Gallery of Modern Art and IMAX theatre, Brisbane South Bank accommodation options feature stylish hotels and apartments within minutes of a range of dining options in this cultural precinct. You can also wander among the night and weekend markets. The place to stay when catching a sporting event at the Brisbane Cricket Ground, affectionately known as 'The Gabba', these Woolloongabba accommodation options are close to a number of dining and nightlife options as well as some boutique shops and even an Antique Centre where you may find some treasure.